Quiet as a mouse? Not likely. This knitted dress was made to be the star of the show. Pirouette into every adventure in the voluminous tulle skirt with a glittery waistband. 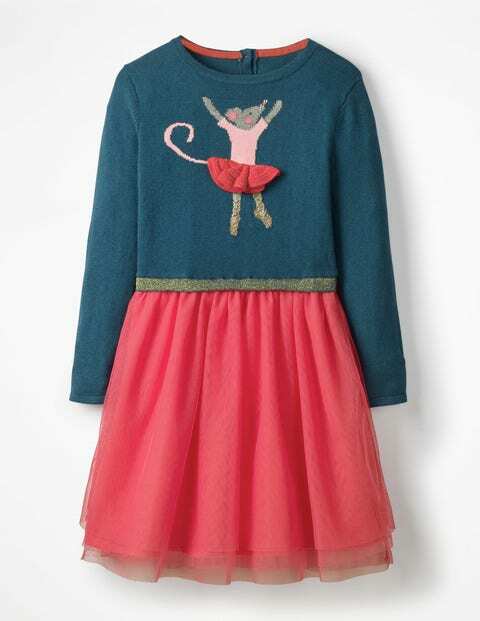 The soft, cashmere-blend top has two buttons at the back, cosy long sleeves and features a crochet ballerina mouse. Pair with pumps and pointed toes.